There’s a lot to be excited about if you’re a student moving on campus, about to embark on a college career – acquainting yourself with a totally new environment, making new friends and gearing up for some challenging classes. 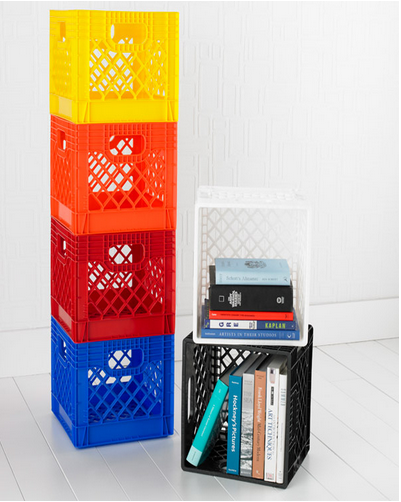 Make the transition to college dorm life easy, organized and uniquely you. Dorm rooms are often small, so wherever you can find a bit of open space use it creatively! These multicolored Authentic Dairy Crates are fun, stackable and will match almost any color scheme you choose to decorate your room. Find them at the Container Store. This pretty vinyl-coated self-adhesive decorative wallpaper will add a full circle personal touch to your new living space. Best of all, it’s easy to apply and remove so you don’t have to worry about ruining the walls. Get it and other fun colors and patterns at Urban Outfitters. 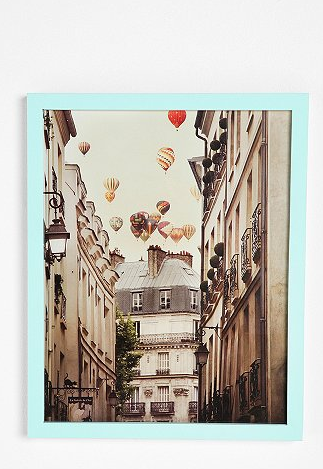 You’ll never have a bad day waking up next to this framed print of balloons bursting through the City of Light by artist Irene Suchocki. Comes pre-framed and ready to hang. 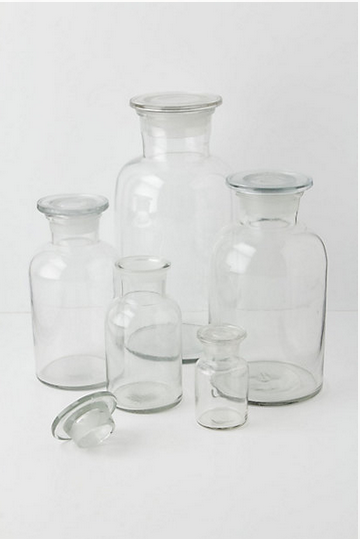 For little things like cotton balls, Q-tips and random knick knacks, these glass pharmacy jars are great organizers that can be displayed without having to be hidden in a cabinet or under a desk. 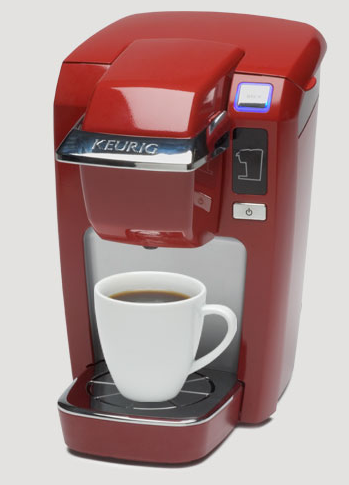 If you’re not already a coffee drinker, you probably will be by this time next year. Save money and time by making your own coffee before jetting off to an early morning class or hunkering down during the wee hours at the library with this personal brewer.